Josh Oyler is a 21st century professional and personal success story with a passion for the oldies—namely cars and motorcycles. Before the age of 34, he has already started and run several self-supporting businesses—all related to hot rods and Kustom Kulture. His businesses have covered everything from the repair and detailing of vintage cars and bikes to the manufacturing of motorcycles. But it wasn’t until he spent three years as a stay-at-home parent, that he realized what he loved best was doing, not managing. That insight led to his newest business, Oyler’s Speed Shop, a restoration business for vintage American cars and motorcycles where you will find just one man–Josh. Take a look at what this 3x small business owner and former stay at home Dad does with some of the best cars and motorcycles this country has ever made… and enjoy the ride. For another one-man shop, check out tattoo artist Tim Brewer and Blueprint Gallery. Wondering how to finance your business? Check out our crowdfunding section! 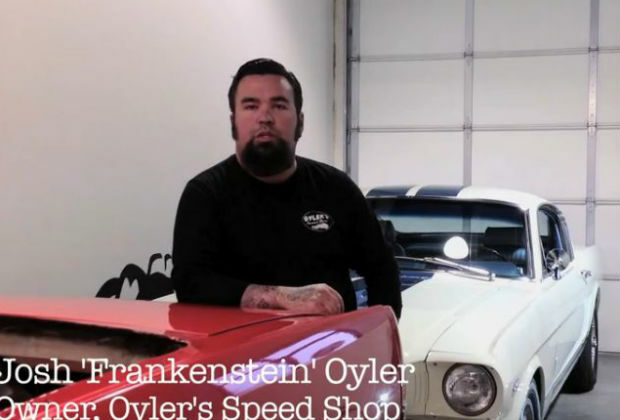 Share your thoughts on the video about Oyler’s Speed Shop in the comments below!